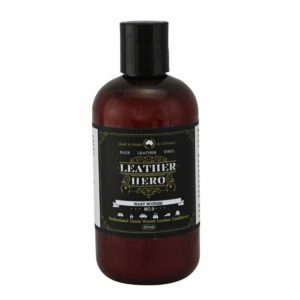 Easy to use leather cleaner and organic wax conditioner and restorer that revives, nourishes and protects worn dry leather. 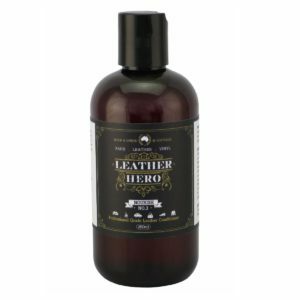 Perfect for waxed leather, pull-up leather and antiqued leather. Make your furniture upholstery look luxurious, feel beautiful and last longer with this comprehensive care kit. 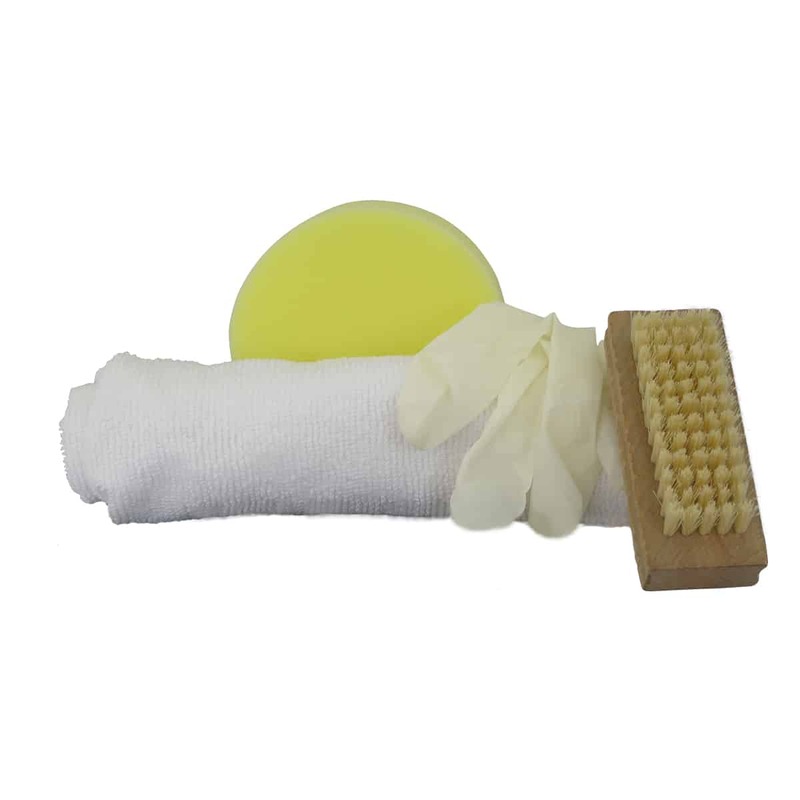 Rich in natural leather wax, Waxy Nourish (No. 9) is also perfect for shoes and bags. Waxed leather or pull-up leather has a uniquely beautiful finish that has a rustic cracked looked. Scratches show readily in this type of finish. 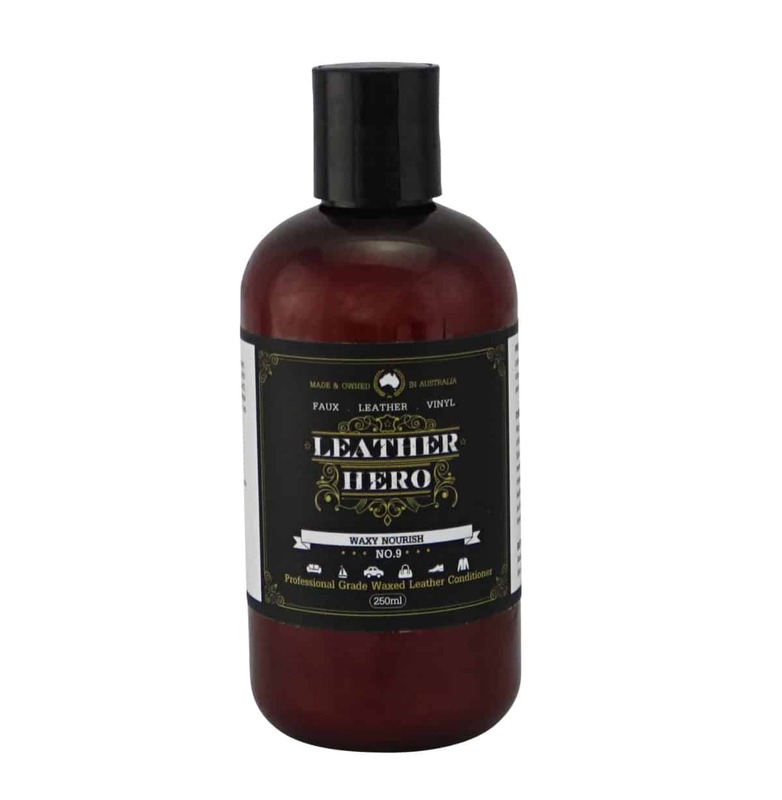 The Leather Hero Waxy Care Kit contains a wax leather conditioner and a leather cleaner to revive and nourish your waxed leather whilst minimising scratches and leaving it with a highly desirable soft patina and a rich vintage glow. 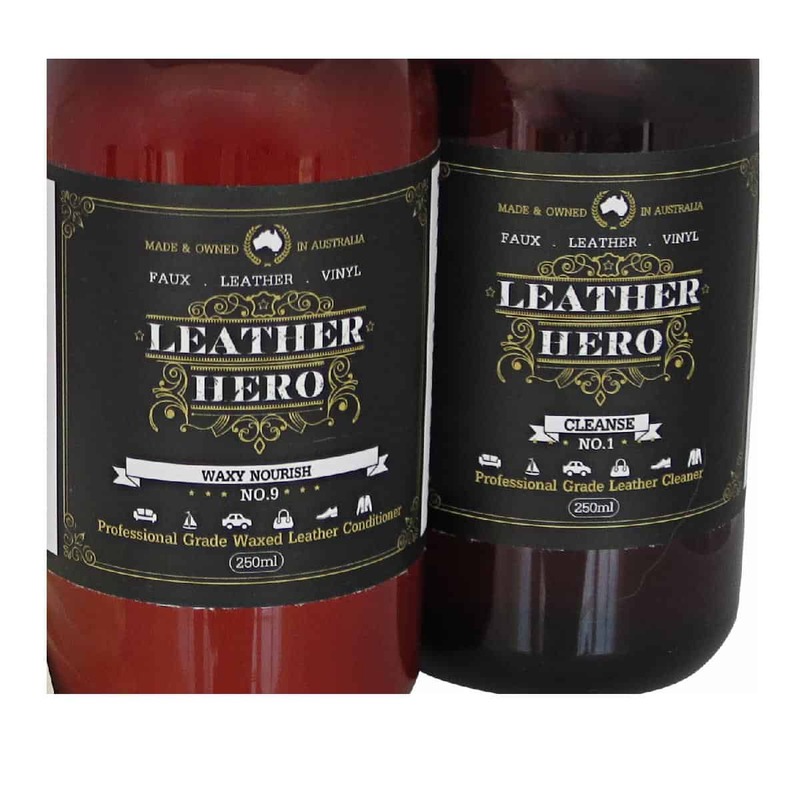 Suitable for finished and man-made leathers (excludes nubuck and suede leathers). May be used on aniline leathers if a waxed finish is desired. Also available in 250ml and 1L pack sizes. Included in the kit are 4 pieces.